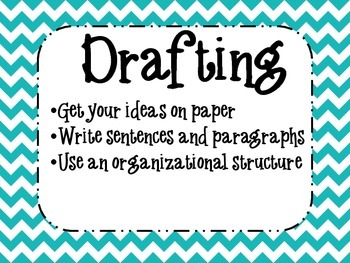 A fun set of writing posters to add to your classroom. 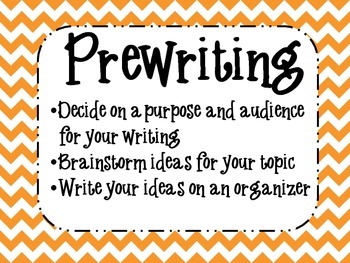 Each set features each part of the writing process: Prewriting, Drafting, Revising, Editing, and Publishing. Each poster has a colorful chevron background. 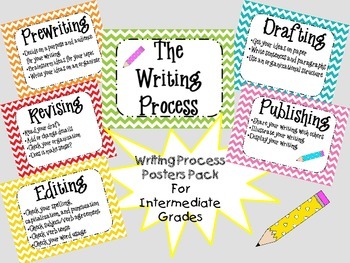 This set is designed for grades 2-5. 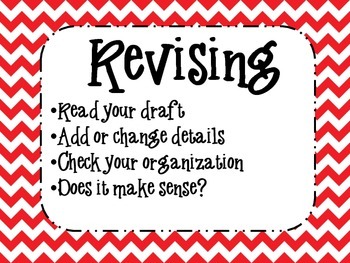 Print, laminate, and display. You may print on cardstock for durability.